Manhattan Month is Upon Us! 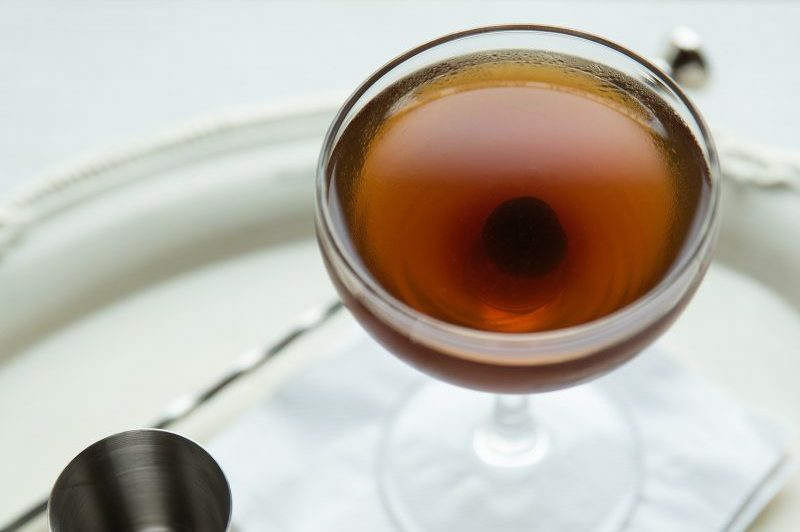 To put it plainly, we love our Manhattans. The baking spices in our Vya Sweet Vermouth pair oh-so-nicely with the vanillas in whiskeys, creating an exciting and aromatic Manhattan. So we’re once again dedicating an entire month to recognizing this age old relationship between vermouth, whiskey and bitters, and this year we’re supporting a good cause while doing it. The best part, we’re not alone and we’re inviting you to participate as well! With the help of Chilled Media and a growing number of beverage industry members nationwide, we’re putting a meaning behind every Manhattan this October. Participants of Manhattan Month 2018 are mixing Manhattans for a good cause all month long as the celebration incorporates a charity tie-in for the first time this year. 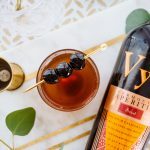 For every case of our Vya Sweet Vermouth sold in October, we’re donating to this year’s official Manhattan Month charity partner, Mercy Corps. We’ve invited all beverage industry producers, distributors and retailers to take part in this year’s Manhattan Month and support a good cause. A number of industry producers have already signed up, including Rabbit Hole®, Dad’s Hat®, Bittercube, 18.21 Bitters and Portland Bitters. Bars and restaurants across the country are signing up to mix and serve unique Manhattan cocktails at their establishments while donating a portion of the proceeds. Venues can register HERE to participate and have their location added to the website for consumers like yourself to visit in October. “We’re excited to see so many members of the beverage industry participating in celebrating this timeless cocktail while supporting a range of wonderful nonprofits,” Said Jim Fricke, our Director of Sales and Marketing. “One of the most exciting aspects is the opportunity for enthusiasts at all levels of the industry to participate.” Manhattan fans, including media members, bloggers and influencers, are using #manhattanmonth on social media all month long to share recipes, photos and conversation around the celebration. So, what do you say? Will you join us this October in celebrating the Manhattan? 1. Simply put, mix and sip Manhattans with us all month long! Be sure to head over to our SHOP to pick up the perfect sweet vermouth for your Manhattan and post your cocktail experience on social media with #manhattanmonth. Check out the list of participating beverage PRODUCERS which are all donating to charity with every one of their products you enjoy. 2. Check out the bars and restaurants participating in Manhattan Month on the official LOCATOR. Is there one near you? Pay them a visit and help them raise money for charity by enjoying a Manhattan there. 3. Try one (or more) of the unique Manhattan cocktail recipes posted on the Manhattan Month site, HERE. Have one of your own Manhattan creations you’d like to share? Submit it to us on our CONTACT PAGE for a chance for a feature! 4. 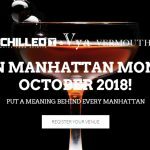 Follow all of the conversations and updates happening around Manhattan Month by staying tuned to our page, www.manhattanmonth.com, www.chilledmagazine.com and all over social media with #manhattanmonth. Some of your favorite beverage writers and bloggers may even be participating as well, like Natalie with Beautiful Booze!